VirtueMart is CMS built e-Commerce solution. It means that accept core shopping cart features, store owners are able use advantages of one of the most popular CMS - Joomla! Nevertheless, every platform has its cons and VirtueMart in not an exception. It offers a wide range of extensions, which can expand store’s functionality. However, they are quite expensive. Thats why, a lot of merchants make a decision to migrate from VirtueMart to osCommerce, which has an intuitive interface and straightforward store administration. 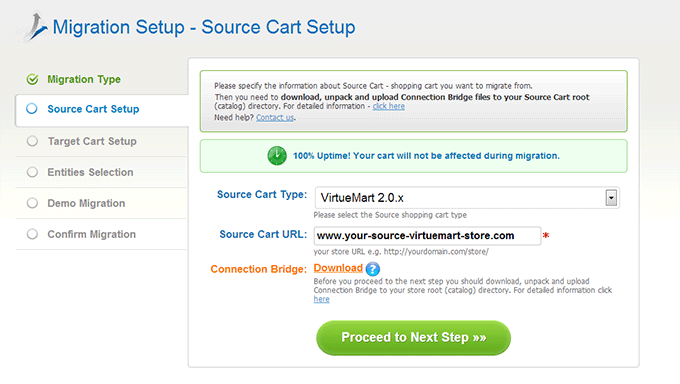 Cart2Cart offers a possibility to move all data from VirtueMart to osCommerce easily. 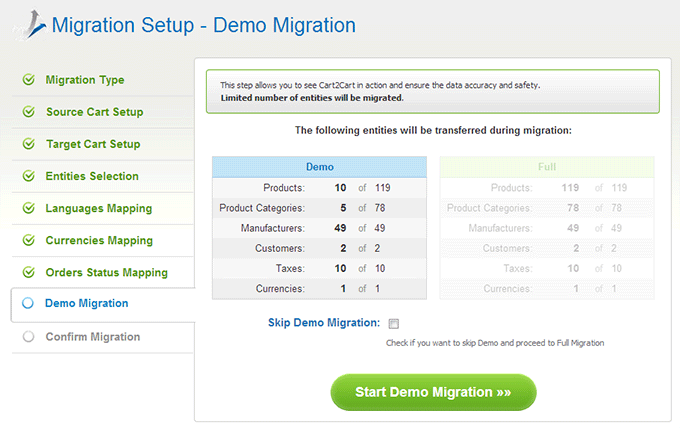 Watch our video tutorial or look through step by step instruction and make your migration process fast and accurate. Firstly, you have to create Cart2Cart account or sign in via your Google or Facebook account. Download a file with a bridge on your computer. Paste Connection Bridge to the shop root directory using FTP. You may use Filezilla or Total Commander. If you don’t understand something, read our FAQ with video tutorials on how to setup Connection Bridges. 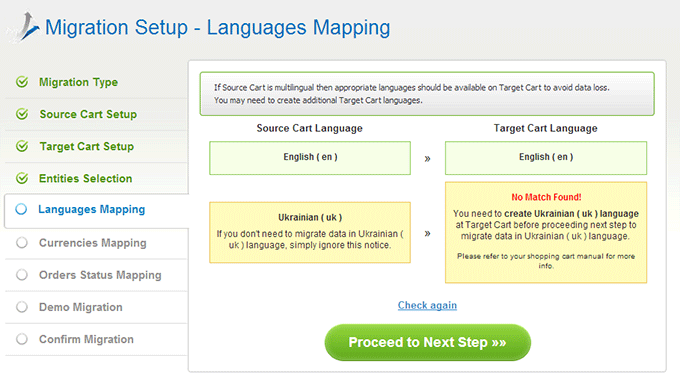 Now you have to repeat the same steps, but with your Target osCommerce Cart. 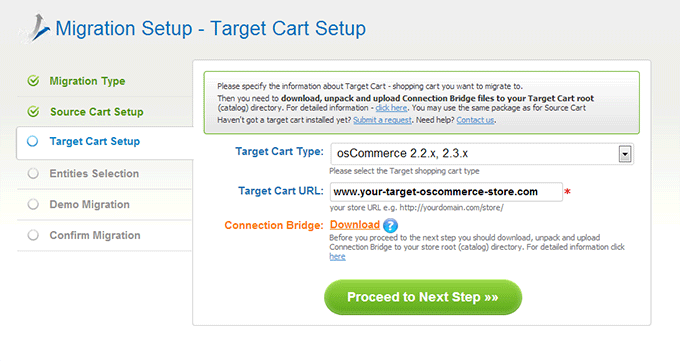 Choose osCommerce as your Target Cart from a menu. Install a Connection Bridge according to the same principle. 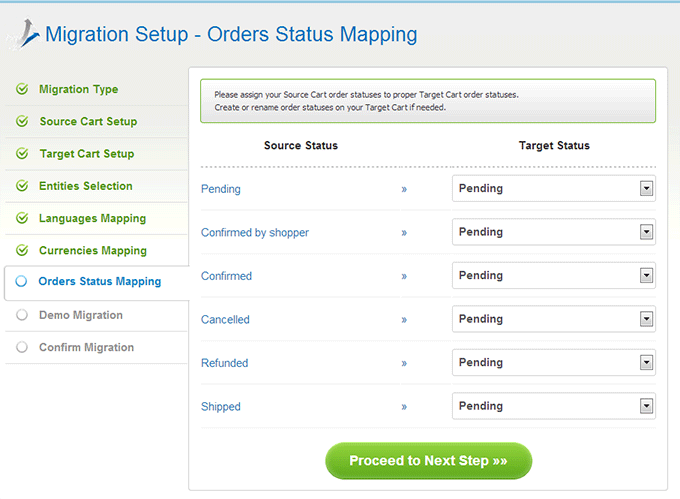 On this stage, you are able to select entities, that have to be moved to osCommerce store. Just put ticks near items that have to be transferred or click Check all box. This phase will be useful for those entrepreneurs, who own multilingual stores. If you don’t, just skip this step. 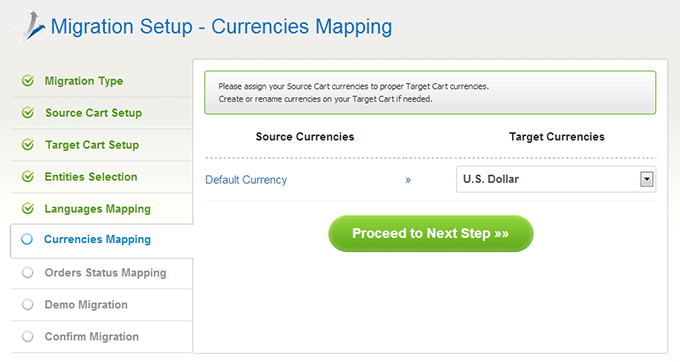 In a case, you use more than one currency to sell products, Cart2Cart provides a possibility to transfer them, as well. At this point, you are able to map order statuses. It will help you in future store management. not necessary but highly recommended not to skip it. Now you are ready for Full Migration. 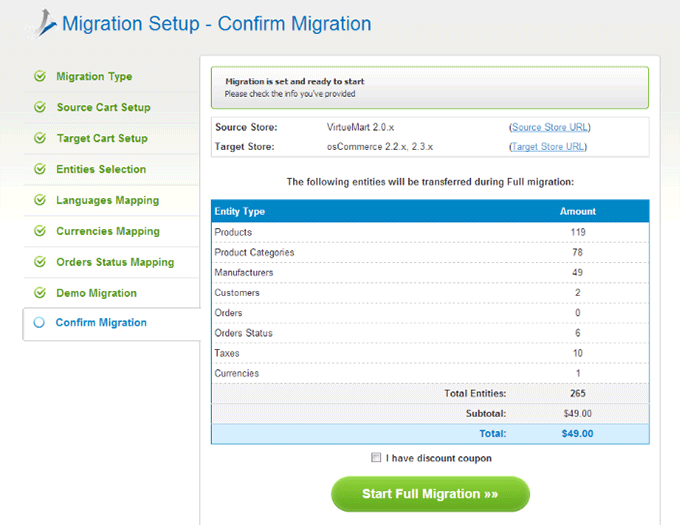 Before you press Start Full Migration button, ensure you have enough money. In the other case, you will be asked to charge account with more funds. Here, it is also possible to use your discount coupon code if you have one. Now you are ready to start. The process migration will take some time, so you can close a window. After it is completed, you will receive an email. 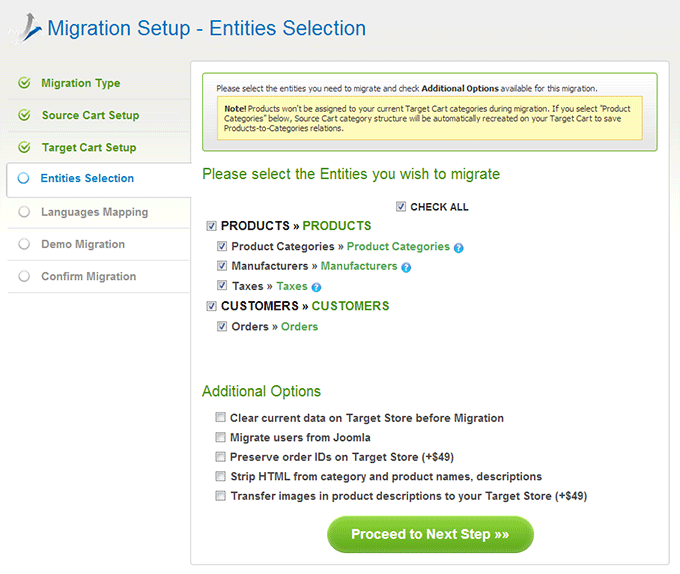 After that, you will be able to check VirtueMart to osCommerce migration results.